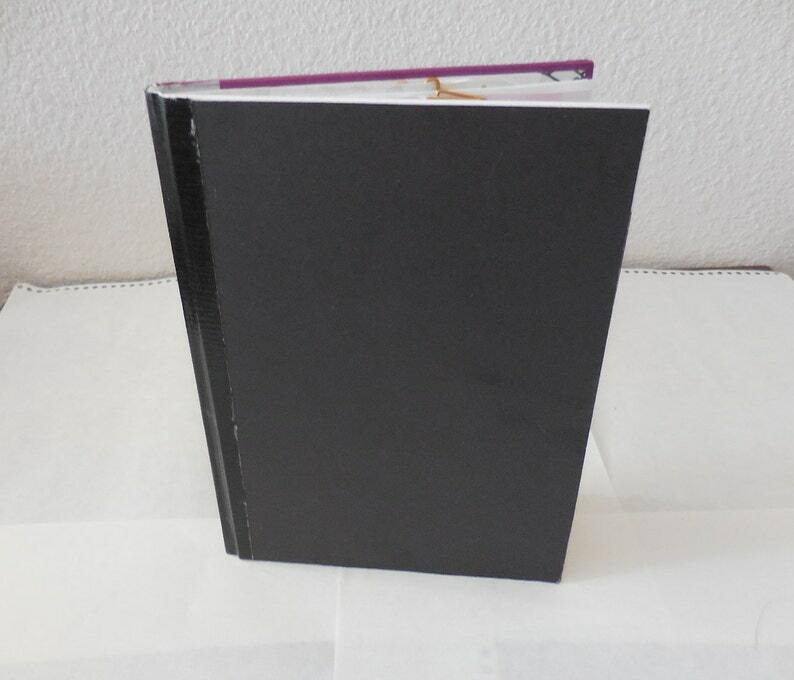 Black Cover Altered Book great for taking notes for school or to journal your thoughts. There are many places to write and put pictures if keeping memories. There is scrapbook paper, ledge paper, paper clips, belly bands to hold a paper, painted paper, ephemra, and kraft paper. Dimensions are : 9 L x 6 1/2 W x 1/2 H 27 pages = 54 back and front. Its a great memory starter book or notebook.